Laurie Cooper writes paranormal and historical romances, screenplays, children’s books, and poetry. She credits STAR, RWA, and her terrific critique partners over the years for helping her earn PRO status, finish 5 manuscripts and win and final in numerous writing contests. 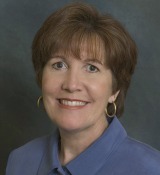 Laurie is a past President of STAR and has served as Contest Coordinator and Conference Co-chair. On the home front she wears a dozen or so hats. Life is never dull with two grown children and three granddaughters to keep her laughing. She’s worked with children for more than thirty years as a reading teacher, a coach for state champion baton twirling and dance teams, and as a Special Olympic softball, basketball and cycling coach. Her husband, Quentin, is her rock, her hero, and the guy who taught her how to water-ski. She recently earned a Bachelors of Arts in English. And although she can’t wait for “the call”, she’s totally enjoying the journey.